Jane Eyre: An Autobiography (Paperback) | Let's Play Books! 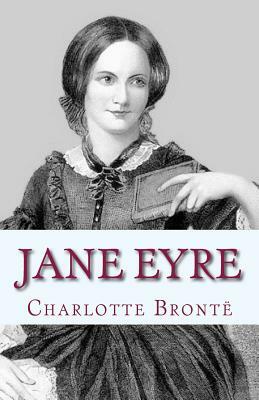 Jane Eyre is a famous and influential novel by English writer Charlotte Bronte. It was published in London, England in 1847 by Smith, Elder & Co. with the title Jane Eyre. An Autobiography under the pen name "Currer Bell." The American edition came out the following year published by Harper & Brothers of New York. Jane Eyre is a first-person narrative of the title character. The novel goes through five distinct stages: Jane's childhood at Gateshead, where she is emotionally and physically abused by her aunt and cousins; her education at Lowood School, where she acquires friends and role models but also suffers privations; her time as the governess of Thornfield Hall, where she falls in love with her Byronic employer, Edward Rochester; her time with the Rivers family at Marsh's End (or Moor House) and Morton, where her cold clergyman-cousin St John Rivers proposes to her; and her reunion with and marriage to her beloved Rochester. Partly autobiographical, the novel abounds with social criticism. It is a novel considered ahead of its time. In spite of the dark, brooding elements, it has a strong sense of right and wrong, of morality at its core. Charlotte Bronte (21 April 1816 - 31 March 1855) was an English novelist and poet, the eldest of the three Bronte sisters whose novels are English literature standards. She wrote Jane Eyre under the pen name Currer Bell.